Who is greater Virat or Sachin? As Indian cricket captain Virat Kohli turns 30 today, let’s do a quick comparison between Virat Kohli and Sachin Tendulkar. They are the only batsmen to complete 10,000 ODI runs by scoring centuries. 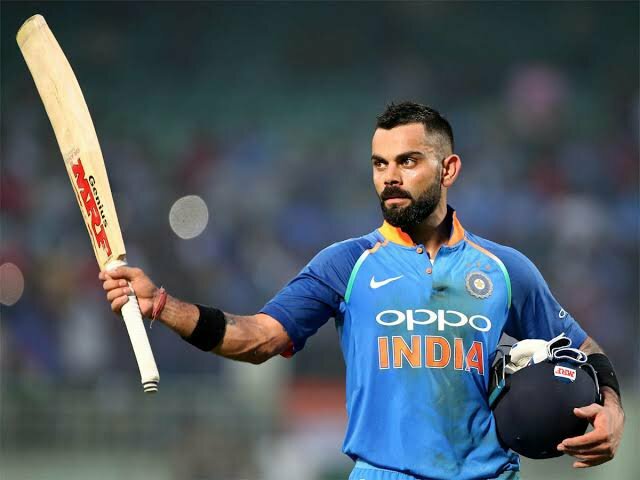 Tendulkar did it in 2001 against Australia at Indore while Virat Kohli did it in the second ODI against Windies at Visakhapatnam as he achieved the landmark of amassing 10,000 ODI runs. Kohli took 54 innings less than Tendulkar to score 10,000 ODI runs. Just 205 ODI innings, Kohli is consistent and a power batsman in ODIs as compared to Tendulkar. Virat Kohli hit 16 more ODI centuries than Tendulkar, this puts Kohli above him in every sense in first 205 ODI innings. Virat Kohli is the only batsman to have an average above 75-plus while winning matches. At this stage Kohli is well ahead of Sachin Tendulkar. But the comparison seems unfair Sachin Tendulkar faced many prime bowlers Wasim Akram, Shane Warne, Dale Steynn, Muttiah Muralitharan, Glenn Mcgrath, Brett Lee, Waqar Younis etc..
Virat Kohli started playing cricket when it turned into a batsmen oriented game. The pitches favor batsmen, and today we have poor quality bowlers compared to before. During Sachin Tendulkar’s time the game was so balanced that you had to put in a lot of hard work to reach a 100, a total score of 250 was enough to beat opponents. But today even 350 seems less. Lets hope Virat Kohli breaks every record of Sachin Tendulkar as that would be great for Indian cricket, but this doesn’t take anything away from Sachin Tendulkar who was a great player of his generation.